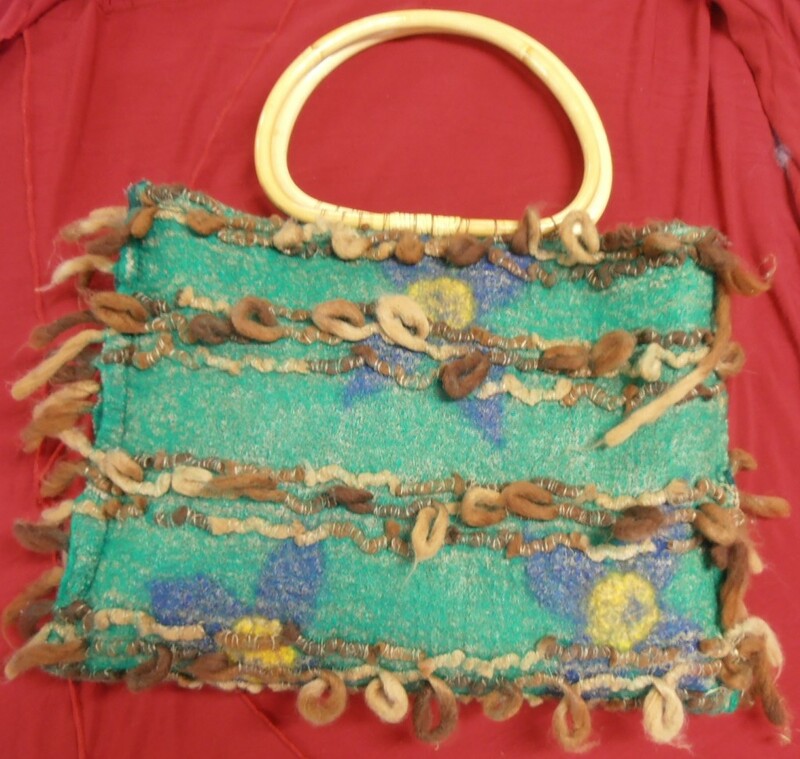 Robyn came along to the Cottage recently with this beautiful and unusual felted bag. I inquired about the artisan, and Robyn told me that she won the bag as a prize at last year’s Gathering. What a great prize. Lucky Robyn.